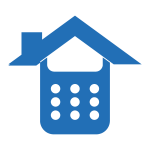 Online Mortgage Calculators is an information website written by experienced advisers who are not attached to anyone business. All enquiries from this website are given to registered and vetted mortgage brokers, who are tasked with helping you find the right deal. We have access to a wide range of mortgage brokers and lenders who can help you with the usual fixed rates and trackers, but they can also look at specialist mortgages such as Bad Credit, Buy-to-Let or even Self Employed Mortgages. The beauty of using a broker is that they are not tied to one lender, so you have many more options that can save you money. 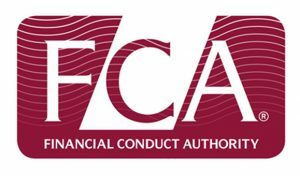 Everyone of our Mortgage Brokers is registered correctly with the FCA, they must adhere to all of the legislation. By being registered, you can ensure that you will get the right advice for your personal circumstances, but be upfront. The more information you give them, the better job they can do. We NEVER sell your data to third parties and our brokers must not charge you an upfront fee for a 30 minute consultation. Each mortgage broker has its own fee structure and will depend on your personal circumstances. The fee is usually 1% of the amount borrowed, more information can be obtained by getting in touch. Our mortgage brokers must not SPAM you and if you are added to their mailing lists, they must offer an easy way to UNSUBSCRIBE. Should you have any questions, please do not hesitate in getting in touch with the Online Mortgage Calculators team.